Most snow bike owners who are doing self-supported touring are using the "rackless" touring style, or bikepacking, as it's come to be called--with frame packs, oversized seat bags, and handlebar harnesses. There may be times, however, when you need to haul more stuff on your fat bike, and in this case, a "traditional" rear rack is called for. With the fat tires and special geometries of snow bikes, though, fitting a standard rear rack can be a challenge. 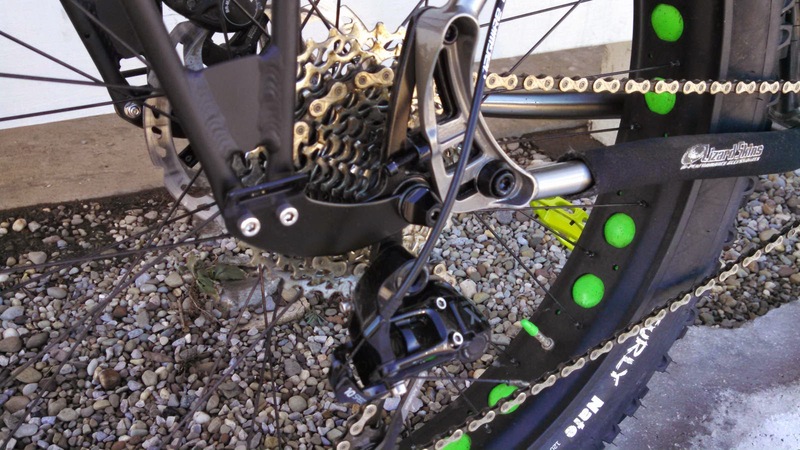 The Axiom Fatliner Fat Bike Rear Rack solves this problem! The wide platform and tall side supports provide plenty of fat tire clearance. The extra-length bottom supports can either be bolted to rack eyelets, or you can thread your quick-release skewer through the holes. You can use the dual top supports to attach to upper rack eyelets on your frame, or the single seatstay bridge support (both are included). 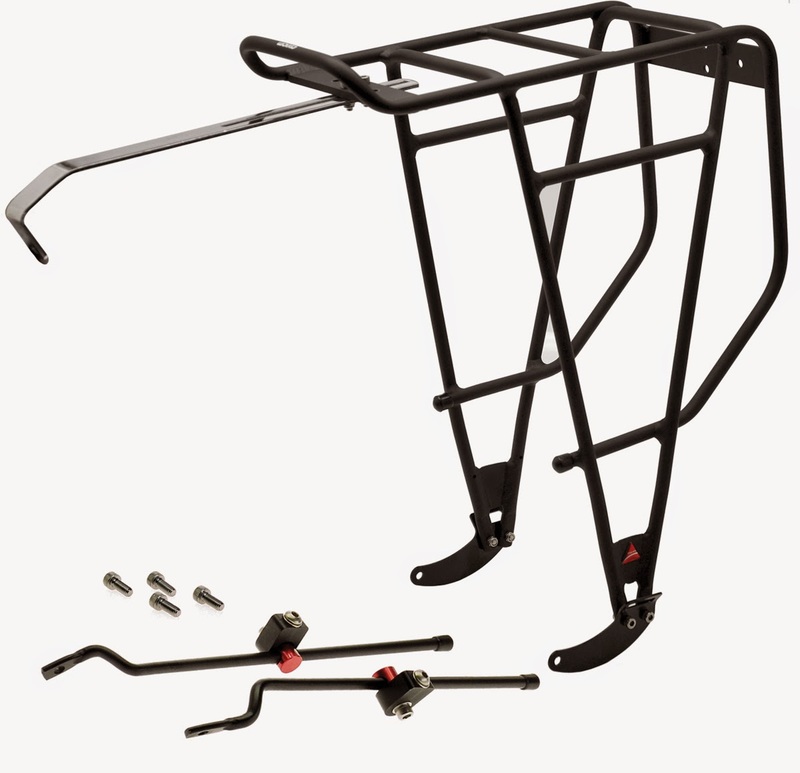 The Fatliner rack is pretty beefy, with a weight carrying capacity of 110 pounds. The rack itself weighs 982 grams, or a little over 2 pounds. It's got handy mounting holes on the back panel for a reflector or taillight. It works great on the Salsa Mukluk 2 and Mukluk 3, our best-selling snow bikes. 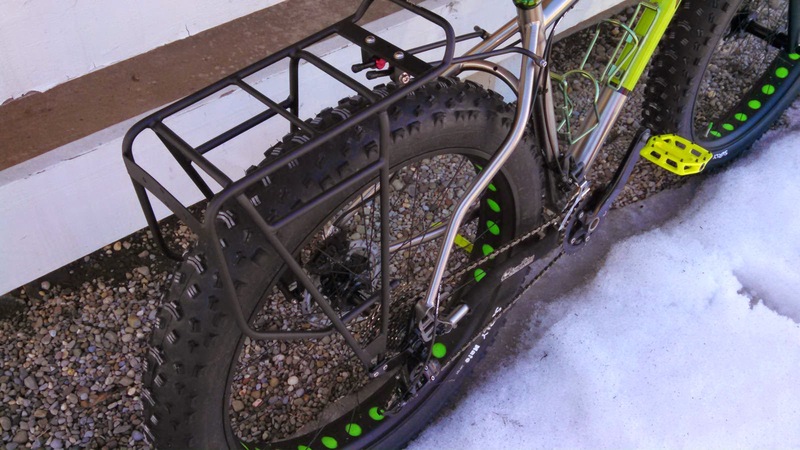 Keep in mind that the Axiom Fatliner is still not a "universal" snow bike rear rack. It will work on fat bike frames with 170mm or 190mm rear hub spacing, and with either a quick-release rear wheel or rear rack eyelets near the rear hub. It won't work on the Salsa Beargrease XX1 or Beargrease 1. The Axiom Fatliner Fat Bike Rear Rack is now in stock at all three Century Cycles stores! For the Surly Pugsley, because of the 135mm rear spacing, but because it DOES have rear rack eyelets, many people have had success using the Topeak Explorer Tubular Rack. For more difficult fat bike rack fitment, you can always fall back on the Thule Pack N' Pedal Sport Rack or the Pack N' Pedal Tour Rack. Would this fit a Surly Wednesday? Will this work on the 2013 beargrease? 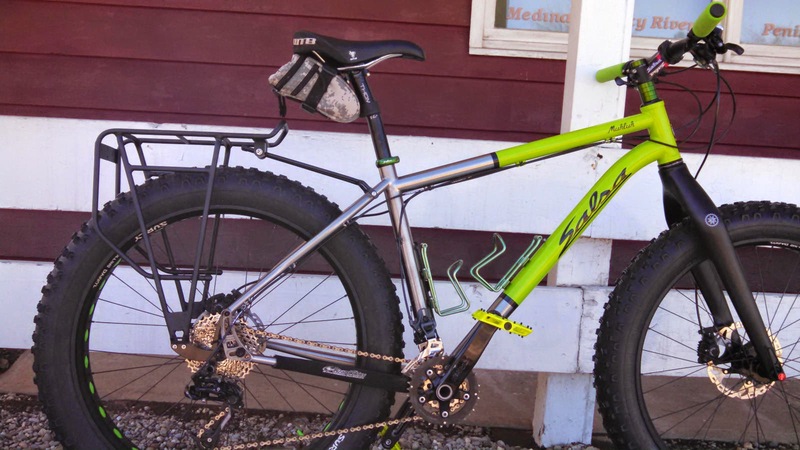 Yes, the Axiom Fatlilner Rear Rack would work on a 2013 Salsa Beargrease. The lower mounts would attach to the rear wheel's quick-release skewer. It does not look like the 2013 Beargrease has upper rack eyelets, so you'd have to use an adapter, such as the Salsa Rack-Lock 32.0mm Seat Collar, item ST8091.